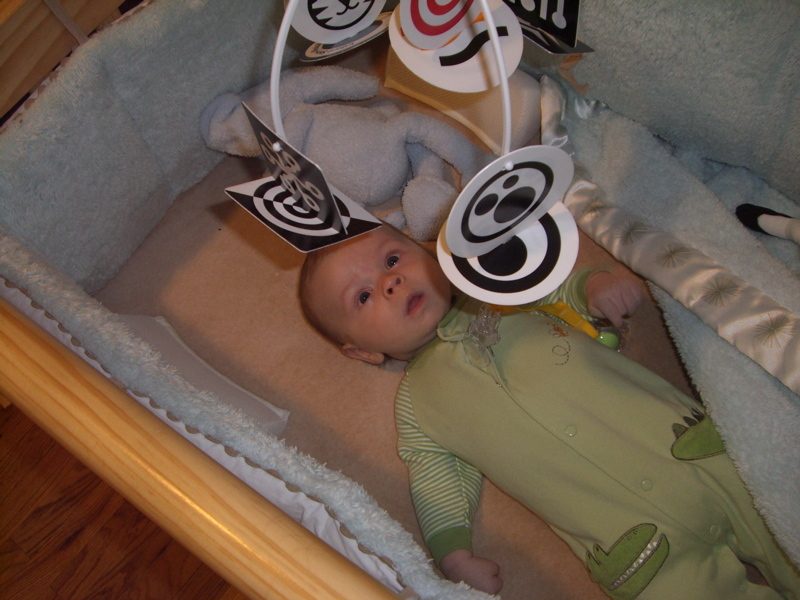 Herman and Gretchen sent over an infant stimulation mobile. It may actually be an over-stimulation mobile. I have to take it off the crib if I want him to sleep because he can’t take his eyes off it. I guess it’s the movement + the shapes, because just the shapes in the stimulation book we have are not nearly as exciting. Now that you mention it, we never could get the girls to sleep with them dangling over their cribs . 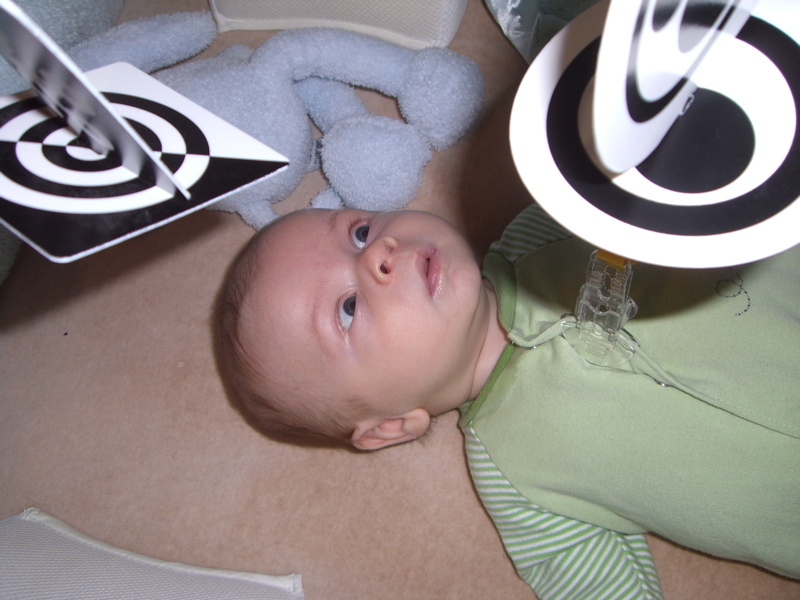 . .
Where can I get one of those mobiles?